We like to take special care with our wine list. 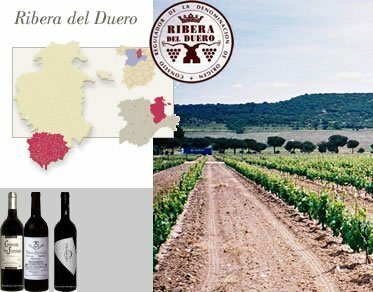 At De la Riva you will find the classical Riojas, wines from the Ribera del Duero region and two or three wines from Madrid, Castilla y León, Somontano, Toro and so on. 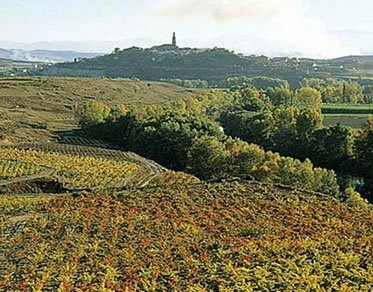 However, we only keep one Rueda white wine and one Somontano rosé at a time to ensure faster turnover in an establishment where wine is only drunk at lunchtime; otherwise we would not be able to ensure the freshness characteristic of these wines. 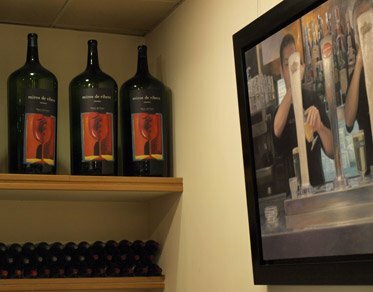 You will always find one or two house wines on our wine list, several wines which have been recommended because of their value for money, reserva and special qualities..
LFrom October to May we open a 27-litre bottle of wine in the restaurant every day. This is usually a Ribera del Duero Crianza, but it can also be a Rioja, Valdepeñas or Somontano, and will be our house wine for the day. 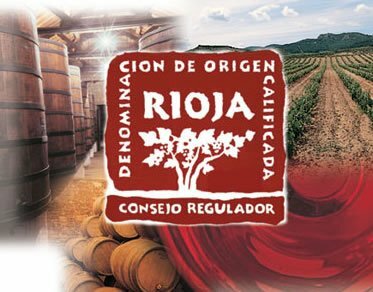 The reason we choose such a large bottle is that we are firmly convinced that the wine is more rounded and that its evolution in the bottle is better as a result of the larger volume and lower ratio of air to wine. 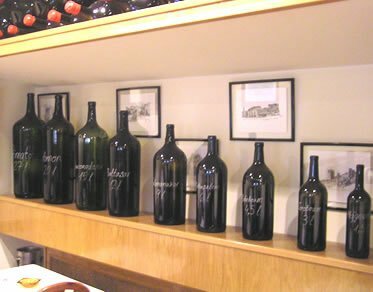 We believe that the wine from such bottles is truly extraordinary; in fact, we have been using large bottles for several years now with excellent results. 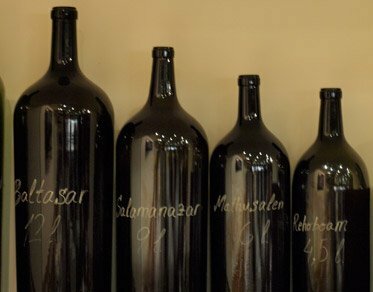 It is clear that such a special way of serving wine calls for a special clientele in a unique place where the staff is pleasant and hard-working. 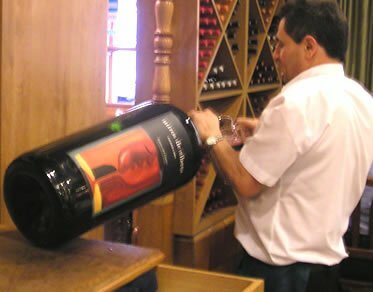 It isn’t easy to handle bottles that weigh more than 40 kilos, either for us or the wineries. What is more, the cost is also much higher and it is only through delicate negotiations with suppliers that we can secure the product at the same price as a regular sized bottle. 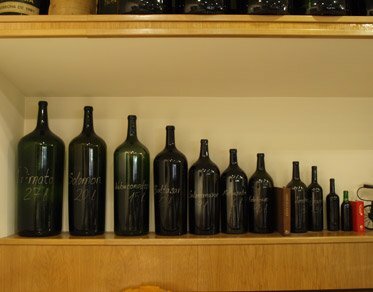 Other sized bottles can also be found in De la Riva’s wine cellar, and may be used at certain times depending on the number of diners.